Passion is a feeling of intense enthusiasm towards or compelling desire for someone or something. It is a strong desire that can get you to do amazing things. 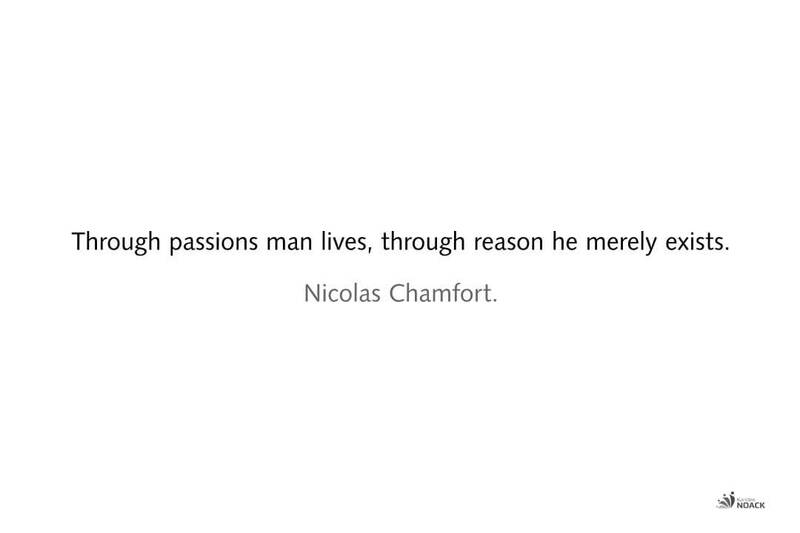 Passion is an emotion to be acted upon. Through passions man lives, through reason he merely exists. Are you a passionate person? What are you burning for? Life is too short to waste it. He who knows his passions profits from the fact that the enthusiasm releases energy. Passion enables us to overcome obstacles. Living with passion is about having the courage to express your thoughts, opinions and convictions. How to find it and live it? True passion comes when you are being your authentic self and doing what comes naturally to you. When what you do is in alignment with who you are, you get energy from doing it. Doing what you love and doing what is in alignment with your purpose, will be the best possibility to have a fulfilling life. That will motivate you to jump out of bed in the morning and look forward to the day ahead. This is a so true! I think it is exactly the other way around.